This morning we step out of the usual pattern we’ve been following this lectionary year of hearing from the Gospel of Mark to hear the version of the loaves and fishes story that appears in the Gospel of John. We’re not doing this because Mark’s gospel for some reason lacks this story; in fact Mark has two versions of the story of feeding the multitudes. I’m not entirely sure just why the lectionary committee decided to have us hear John’s version instead this morning, but they did, and at least what that means is that we get to hear a voice in this story who stands in for us, in a way. And that voice belongs to Philip. Philip is the one looking out at the limitless need of the throng of people who have come out of hope that Jesus might somehow change their lives. Philip is the one who sees clearly how painfully small are the resources available to the disciples to address those needs. But there is something even more remarkable, even more admirable about Philip. Because Philip is the one who is willing to put himself directly in the middle between those two facts. That crowd has only been growing for the past three days. The disciples have this sense that they are somehow becoming responsible for them, but no one knows just how to take that on. Now, Philip is a very practical New Englander, just like us. He must be, because he actually ends up answering a different question. The question that he answers is, How are we going to buy bread for these people to eat? In Philip’s mind, that question has to come before the question of where. If you don’t have enough in the bank, it doesn’t really matter where the bakery is. For the disciples, the lesson seems to be that as long as you are with Jesus, scarcity will turn to abundance. But later on in the story, as we’ll see, it seems that Jesus wants this all to mean something different to us. Jesus wants it to mean, if you start with hospitality, if you start with generosity, you will end with abundance. As you know from the story, the disciples don’t even end up using what little they have to buy food. They borrow what someone else brought—what seems a pitifully small amount—and that turns out to be enough to feed everyone. The commentators tell us that a few of the details that set John’s account apart from the others give us deeper insight into what is happening here. 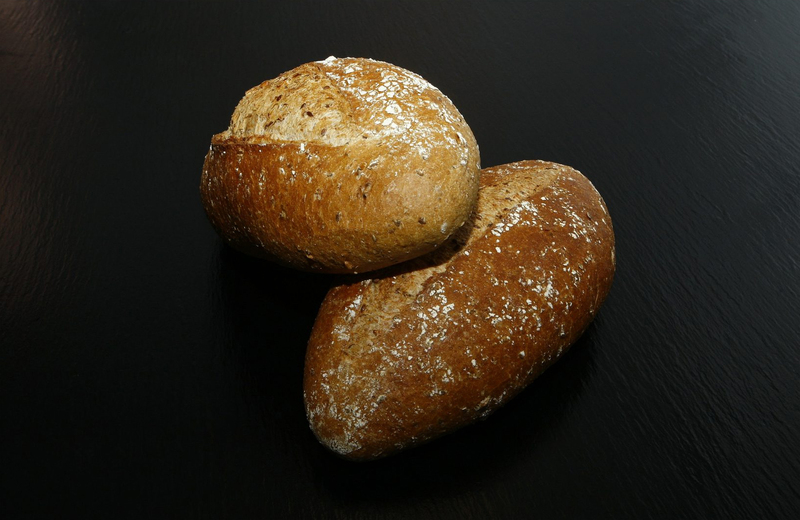 No other account of the feeding miracle bothers to point out what kind of bread is brought forward to Jesus—but here we learn that they are barley loaves. That would have meant bread baked at home, out in the rural areas, and not by a baker’s shop in the city; it would also have meant the bread of a poor family. My friend and teacher Andrew McGowan points out that the centrality of bread in the whole of our tradition is a constant reminder of how thin was the margin that separated most of the people who follow Jesus from the specter of starvation. In a very modern phrase, they were food insecure; just having enough to eat each day was a tremendous challenge for most people, a hundred things could suddenly bring starvation through the door—weather or war, blight or plague, even the whims of a sovereign who wanted to use food as a weapon. Bread is not a small thing to Christian people. It is the only material thing we ask for in the Lord’s prayer. It is the means by which God sustains us as the Body of Christ in the sacrament of the Eucharist. And it is the sign, in each of the Gospel accounts, of God’s abundance—of not just God’s power, but God’s willingness, to make something from nothing, over and over and over again. Next week we’ll hear the other half of this chapter from John’s gospel. It’s after the drama of the feeding, after the storm-tossed trip across the lake, after the crowd that was fed goes chasing after Jesus and the disciples. When they finally catch up with him, they have a pretty frank discussion about bread. Jesus confronts them plainly with the fact that they were a lot more interested in getting all the bread they wanted than they were in understanding just how God was acting for them to address their needs. And at the end of that exchange, Jesus tries to connect the dots for them in an elegantly simple summary: I am the bread of life. Jesus doesn’t mean by this that he’s an endless source of bread that will mean we don’t have to go hungry anymore. He is speaking first of all of our spiritual hunger, our longing to be seen and loved and accepted by God, our deep desire to be in relationship with the God who has loved each one of us into being. But neither is he denying the reality and the importance of their hunger. He knows—anyone living in that day in that place would have known—that in the culture of the Roman Empire people who rose to prominence and had a retinue of followers were expected to feed them. Professor McGowan says of this that Jesus is trying to say to the people who come to him, “This is not just a feeding program.” This is about something more than that. It is about helping people meet their basic needs, their material needs; but it is about that in a way that needs to be squared with another, larger interest, the spiritual welfare of the people who come seeking help. The needs that press on us, the needs that are carried right up to our door by people in desperate need, are limitless. They seem to be overwhelming compared to our small resources. We cannot imagine how to feed all the hungry, how to shelter all the homeless, how to right all the wrongs, heal all the wounds, ease all the suffering. All that we have, between our two parishes, would not be enough to help change any of that even a little. But to see it that way is to be looking at the problem through the wrong end of the telescope. Just like those who received made the mistake of focusing on the bread and not the one who blessed the bread, so we make a mistake by thinking our possessions are the limit of our possibilities. We forget that God is in the business of making something from nothing, all the time—of starting with what seems too little to make a difference, and making from that beginning all the difference. After all, that is what God has done with us. So now we are the body of Christ. We are the ones who are in the world seeing the needs of the people in front of us—needs that may not be about bread, but are about things that are desperately scarce, and just as necessary. Things like time. Attention. Gentleness. Patience. Respect. Hope. We may not think we have nearly enough of these things for ourselves, let alone to share with anyone. And yet we are the ones called by faith to do something for them, starting with what we have to work with. It does not matter if we don’t think it’s enough. It matters that we get over our fears in order to act in love. That is how real abundance, the abundance of things that matter, comes about. Indeed, it is the only way it ever does. Amen.